In a recent interview with Busted Open Radio, WWE Hall of Famer Jim Ross claimed that he apparently doesn't think that Ring of Honor superstars and All In organizers, Cody Rhodes and The Young Bucks will be a part of ROH and NJPW's G1 Supercard show next year at the Madison Square Garden. Currently coming fresh-off their self-financed All In event, Cody Rhodes and The Young Bucks are currently regarded as one of the most vital parts of legendary faction The Bullet Club. The inaugural All In event was quite arguably the biggest Independent Wrestling show of all time and featured several notable moments as well, such as Cody winning the NWA Worlds Heavyweight Championship. Whereas, The Young Bucks also competed in an outstanding six-man tag team match featuring the likes of Rey Mysterio and Kota Ibushi. 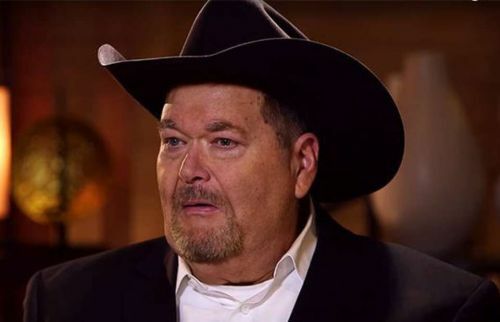 While conversing with fellow WWE Hall of Famer Bubba Ray Dudley on Busted Open Radio, Jim Ross noted that he apparently doesn't expect three big names to be a part of NJPW and ROH's upcoming G1 Supercard show at the legendary Madison Square Garden. "No, I don’t think so. I don’t have anything concrete to base that on other than my gut instinct. My gut instinct is no. There’s too many big, big dollars that are possible to obtain. Cody has to start a family, probably will someday. Money is big in this delicate business. "- Jim Ross stated. As for Cody and The Young Bucks, their current focus is towards the upcoming ROH pay-per-view, Death Before Dishonor which takes place on the 28th of September. Following which Cody and The Bucks will look to shift their focus on NJPW's next big event in the US, Fighting Spirit Unleashed.